Units are currently available at Clark Cove Cottages. Tooele County Housing Authority's mission is to foster the availability of quality, affordable housing and related services using broad community resources. We will accomplish our mission through community collaboration, efficient resource management and expansion of funding sources. 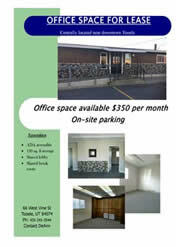 Office space available $350 per month. Download the information here. Please be informed that the Tooele County Housing Authority is not an emergency housing provider. All programs have a waiting list. Do you need help with your heating costs this winter? SLCAP Heat Program can assist in obtaining HEAT Program Services. For more information download the Outreach Heat flyer here. 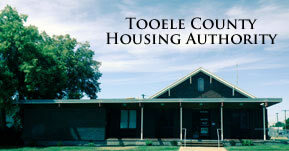 Tooele County Housing Authority is not an emergency housing provider. lf you are homeless or in a crisis housing situation, please contact the Resource Center at (435) 566-5938 located at 38 Main Street, Tooele, Utah. On weekends or holidays contact dispatch (435) 882-5600 and they will get a case manager in touch with you.